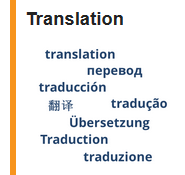 Help us translate RUVIVAL into YOUR language! When we first launched RUVIVAL back in 2016, we decided to do so in English, in odrer to reach the widest audience possible. However, our goal has always been to reach bigger and broader audiences. As you already know, RUVIVAL is from now on available both in English and Spanish, but we do not want to stop here! This is why we are reaching out to you, our community, to ask for your contribution towards making RUVIVAL multilingual and truly global! 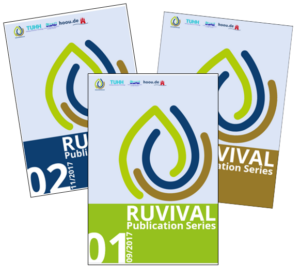 There are several ways in which you can help us translate RUVIVAL. Of course, you will be given due credit for your work and be listed as a contributor on our website. The general discussion regarding translation will take place in the RUVIVAL Community discussion forum. Here both the technical and linguistic details will be discussed. Our stop motion videos are also open for community contributions, which can be done through our YouTube channel. You are free to send us your translation on the topic of your choosing – whether it is your research topic, your favorite RUVIVAL element, or information you think is useful to the people in your community. We look forward to your contributions!